Credit card fraud in Canada amounted to $440 million in 2012, according to the Canadian Bankers Association. Internet scams, which were almost unheard of a decade ago, now account for many millions of dollars in fraud annually. Ottawa estimates that these types of incidents have increased 77 per cent since 2005. Other sources of fraud are the result of poor security across a business, such as inadequate network and computer security and a lack of background checks when hiring employees. Fraud hurts more than your bottom line – it affects customer confidence and reflects poorly on your business as well as your personal reputation. And because many business owners are embarrassed to admit they’ve been scammed, much of it goes unreported, says Daniel Williams, senior call taker supervisor with the Government of Canada’s Anti-Fraud Centre in North Bay, ON. 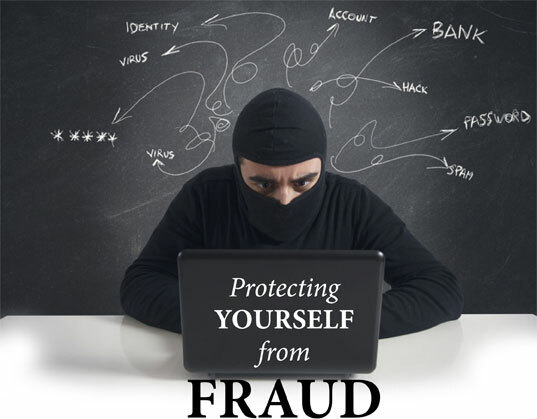 One of the most frequent sources of fraud is credit card abuse – largely because few business owners take the time to carefully review their bills or they mingle business and personal accounts. Start by separating your personal banking and credit cards from your business accounts. This will also make it easier to track your business expenses and report deductions on your tax return. Next, make sure you use your card wisely. Don’t hand over credit cards or card numbers to employees or companies with which you aren’t familiar. Change to online bill payments or make sure to store paper bills securely. While cheque fraud is declining – thanks to the overall decreased use of cheques – it still accounts for the majority of payments fraud in North America. When accepting cheques, make sure the source is legitimate: check the date, signature, amount and look for any alterations. Try to use electronic online or credit card payment options rather than cheques and issue individual payments for each expense so everything can be tracked back to specific invoices. Restrict access to company cheques to those who need it, says Veoli. And put cancelled cheques on a DVD, which is stored carefully. Paper can easily be misplaced and fall into the wrong hands. Get into the habit of reconciling your bank accounts daily and if you see something suspicious, notify the bank immediately. Your chances of recovering the funds are much greater that way. Talk to your financial institution about how to protect your online accounts from hackers and phishing scams. This includes understanding what your institution will and won’t ask for by email, such as password and account information. Limit access to your bank account data. Install, use and regularly update anti-virus and anti-spyware software and email filters on all of your business computers and encrypt sensitive data, including emails. Backing-up is a must and will make it much easier to continue working in case of a cyber attack. Firewalls are another essential for small businesses, especially if customer data and other sensitive information are linked to the Internet. Another way to protect your IT systems is to institute a password policy. Make sure passwords are changed regularly – every 60 to 90 days is good rule. Ensure that passwords are complex (i.e. they should contain one upper case letter, one number and be a minimum of eight characters) and use different passwords for different online and system accounts. Use a dedicated computer for all your online financial transactions and, ideally, ensure it’s one that isn’t used for other online activity, such as social media, email and web surfing. That makes it much harder for outsiders to gain access to sensitive information. If you experience fraud immediately report it to the local police, the Canadian Anti-Fraud Centre (http://www.antifraudcentre-centreantifraude.ca/english/home.html) and your financial institution. “Businesses don’t want to look vulnerable and, because fraudsters cover their tracks in advance, it’s often difficult to go after them. But the more information we get, the more we can make life difficult for them. And any money you can recover from the bad guys makes it less attractive to them,” advises Williams. This entry was posted in Managing Your Business by Envision Magazine. Bookmark the permalink.